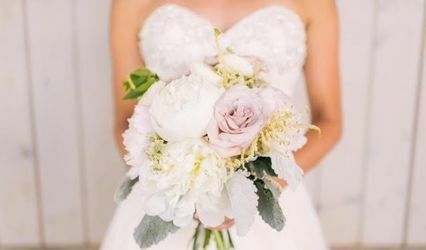 I absolutely LOVED my bouquet and the groom's boutonniere from Petals & Company! 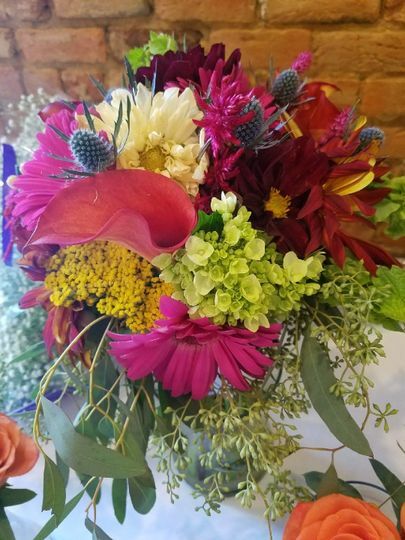 Paula and her team definitely have an eye for what looks good and how all of the flowers go together. I had succulents in my bouquet and the groom's boutonniere, which is an odd flower to have for a wedding, but they did an awesome job and they looked so good! Paula is great! I don't know much about flowers, so she really helped pull out of me what I had in mind. 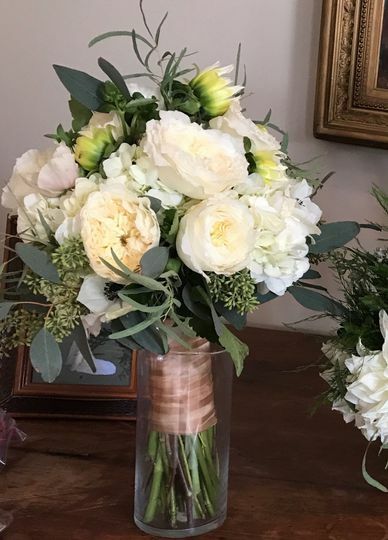 She offered flower suggestions/comparisons and was aware of my budget so she suggested flowers that would be beautiful and within budget. I also may have changed my mind more than once... or twice on table arrangements and with each change Paula took the time to make sure I would get what I wanted. Her quotes were very detailed, listing each item that would be in the bouquets and on the tables - we knew exactly what we were getting. 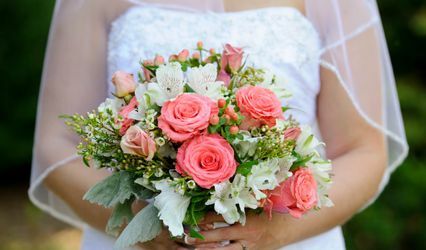 She delivered the flowers, set the table arrangments, and built an archway arrangement on sight the day of the wedding. Paula and her staff provided the flowers for the wedding at the church and at the reception, She provided flowers for the bride and four brides maids. 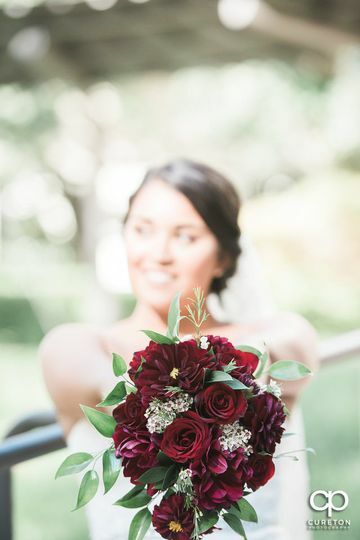 The flowers were coordinated to specifications provided by the bride and groom; and, were unparalleled in perfection. 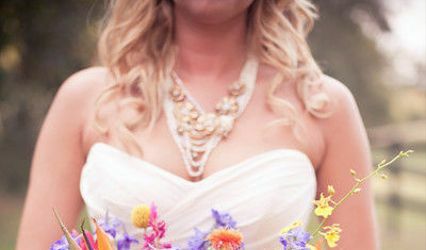 The bouquets turned out to be amazing! The flower arrangements included matching purple moisture marbles in the clear vases that were remarkable in beauty.